1. Fear Factor. 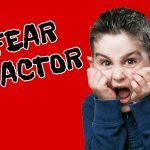 create your own fear factor challenge for the children. Prepare some odd or disgusting food for them to try eating and see who is bold enough to eat it. 2. MnM Surprise. Pour tomato ketchup over a pile of MnMs in bowls and ask contestants to eat them as quick as they can. Allow the children to only use their mouths – no hands. 3. Face Your Fear. 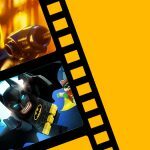 A theme is chosen such as ‘color’, ‘month of the year’, ‘favorite Disney movie’. One player is chosen to sit in the middle of the circle and thinks of their chosen month, color or movie. It is written down and put on the floor next to them along with a cup of water. The players around the circle take turns to say their own chosen month, color, movie etc. If one of the player’s chosen words matches the middle player’s word then they throw a glass of water at them! Fear in a Hat. Everyone is asked to write down one of their fears and place it in the hat. Then each person takes turns to pick a fear and talk about what it means. Explain to the children that the people didn’t have a king so everyone lived as they thought what was right. That meant that people called the Midianites would steal all that the Israelites had because they didn’t see it as wrong. Set up and watch the Gideon video with the children. You could make sure they understood the story by asking them questions about it afterwards. This lesson is based on Judges 6-7. 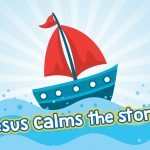 This lesson is the fifth in the Mission:Possible teaching series or VBS. 1) FEAR FIGHTS OUR FAITH. You will need: two empty bottles, one with a cap on. A glove with the word ‘Fear’ written on it. Can you see these two bottles? They both look the same, but one is different….the one with the cap on is FULL of faith! You can’t see it right now, but it’s there. This other bottle is empty… it has NO faith. (Put on the glove showing the word fear.) 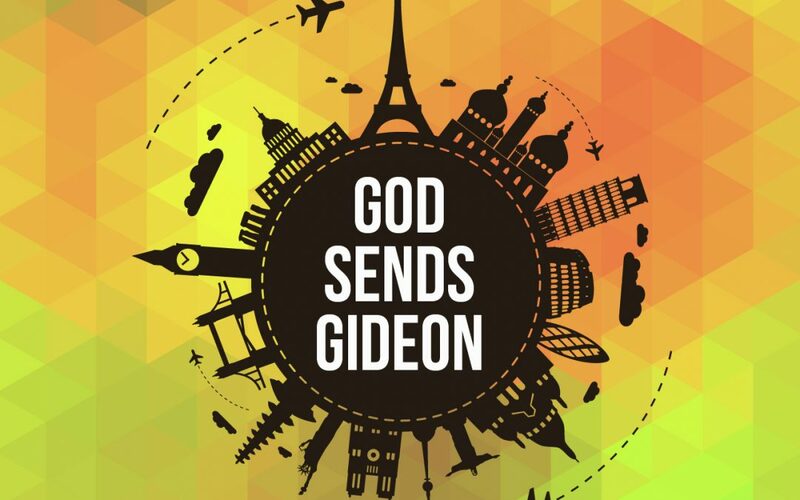 Gideon was a man who was afraid. He started out as someone without much faith… only fear. He even hid when the angel called his name. Fear fights our faith. What do you think will happen when fear comes to fight someone without any faith? (show them that you are about to hit the empty bottle without the cap. Get feedback, then hit it). That’s right, it got crushed. That’s because we need faith to fight fear back. So what do you think will happen when fear comes against someone that is full of faith? (Get feedback and then hit the capped bottle.) Fear could not crush it. In fact, it doesn’t even look like it affected it at all. You see, with faith, we get strength from God. Jesus once said to His disciples, “Why are you so afraid? Do you still have no faith?” (Mark 4:40) We cannot see faith itself, but what faith produces we can see quite easily, such as strength, courage, peace of mind, and self-control. We do not need to worry or be afraid of anything when we have faith in Jesus. Why? Because our faith is rooted in truth. 2) SOMETIMES WE MUST DO IT AFRAID. Even though we have faith that God will do what He says He will do we may still feel afraid sometimes. And thats ok! We can’t always get rid of our fear. It’s a human feeling. Sometimes fearing something keeps us safe… like having a healthy fear of fire so we don’t get burned! Even if we are afraid, we can still step out in faith. We just have to do it afraid! 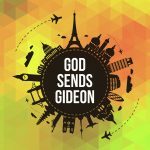 Gideon was afraid when God first gave him his mission to help the Israelites fight the Midianites. Yet he did not let fear stop him do what God had told Him to do. As soon as he knew it was God speaking and he trusted God he went ahead and fought the men with only 300 men! God gave him the faith to overcome his fear. In the Afraid of What? story the missionary reminds us that ultimately we have nothing to fear. The worst thing that could ever happen to us is death… but if we love Jesus and are living for Him then death is amazing because it means that we will live with Him forever! So we have nothing to fear… but if we still feel afraid, we just have to do it afraid, praying and asking for the Holy Spirit’s help as we do. Just as people work their muscles, we can work our faith muscles too. 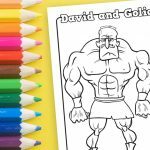 As you saw in that little video, when we exercise and use our muscles it causes them to tear. The ripping of the muscle means that when it mends itself and grows back it is bigger and stronger. That is the same with our faith. When we use it by believing what God has said and doing what He asks us to do then we make our faith stronger. We use our faith by praying, reading the Bible, praising and worshipping, fasting, going to church and telling others about Jesus. Maybe we are afraid of saying the wrong thing to our friend about Jesus… we don’t quite know what to say. That doesn’t matter, we just need to start somewhere. As we start living for God and sharing our faith in Jesus we will become stronger and stronger in God. We don’t need to be afraid of making mistakes when we trust God because God uses each experience to make us stronger. Even when the muscles rip they are made strong. And even when we fail God can use our failures to make us stronger in Him! We just have to keep on going. Just as a bodybuilder keeps exercising his muscles. 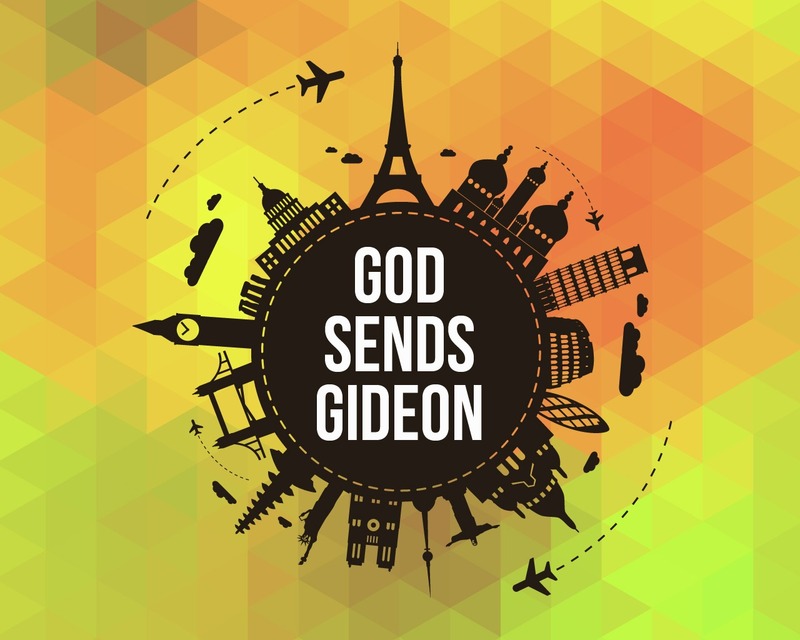 Even though Gideon kept failing by not believing God was speaking to him, God kept helping him and made him stronger and stronger until he trusted God to help him defeat the Midianites. God is patient with you and me too. He wants our faith to be super strong! Chinese Laundry style game: Have bible names on slips of paper and put them in sets and give them to each team. The leader should call out a clue for bible character they want and one person from the team must rush to give the correct one to the leader. The fastest team is the winning team of that round. What happened when you got scared? Why did you get scared? Have different things listed that might have made Gideon afraid. Put them on a ‘ladder‘ in order of the things that were the biggest reasons and lowest reasons. get children to add things if they think there were other reasons. Discuss with the children what they think the reasons for Gideon’s fears were. Then discuss why they think they get afraid. Ask children to think about their fears and write down their fears on a page. Bring together all the fears in a basket or box without names on them. Tell children not to put their fears in if they don’t want everyone to pray. One by one the children should take out a fear and pray that God would help everyone to overcome that fear.